The Member Engagement Specialist is responsible for making outbound contact with targeted members in order to onboard, retain or deepen their membership by promoting and cross-selling Purdue Federal products and services, including but not limited to electronic services, loan and deposit products, and specialty programs. To assist the Contact Center inbound unit if needed to respond to member needs with high quality service, quickly and efficiently, via multiple media channels. To exceed the expectations of the members. To assist in the identification of new opportunities to onboard, deepen and retain membership, and also assist in implementing programs across the credit union through sharing of expertise and experience. Must comply with all SAFE Act registration procedures if applicable for the position. Making timely outbound contact with members who have been identified as a new member, a member having a potential to close or reduce their relationship or activity with the credit union, or an opportunity to support sales or promotional campaigns in order to deepen the member relationship. Be involved in development and implementation of new campaigns. 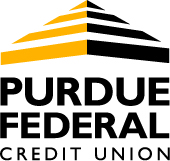 Making timely outbound contact with members identified by areas of the credit union with a need to insure member notification related to Purdue Federal changes, accuracy issues or regulation changes. Problem solving and assisting membership with needs that may be unrelated to the intent of the phone contact. Remain current on all areas of credit union products and services. Remain current on all marketing outreach. Cross training other staff members through findings and trends in current processes. Meet regularly with sales staff to discuss trends, successes and obstacles. Responsible for supporting the Member Consultant role with sales opportunities by using referral methods and a needs based sales approach. Work closely with many different groups within the credit union to identify needs and opportunities for outbound phone contact. To assist the Contact Center inbound unit if needed to respond to member needs with high quality service, quickly and efficiently, via multiple media channels. Ability to engage a member by phone, identify needs and assist – creating a relationship building contact. Ability to produce effective sales referrals to the branch staff.